Using Tapestry of Grace? Knowledge Quest and Tapestry of Grace have joined forces and resources to produce MapAids - map CD-ROMs customized especially for the Tapestry curriculum. All four year plans are now available. What makes these CDs so special? Well, they are organized by Tapestry of Grace weeks as set up in their year plan guides. There is a teacher's map, which is the answer key. And then there are maps for the grammar stage student, the dialectic and rhetoric stage students and an overlay map so your student can produce a transparency map notebook. 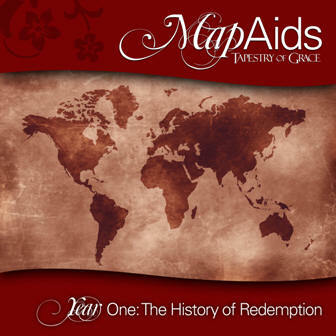 Purchase these CDs right here or at the Tapestry of Grace website: www.tapestryofgrace.com. These CDs are not standalone products, but must accompany the Tapestry of Grace curriculum. Would you like to see some samples? Tapestry of Grace's MapAids (which Knowledge Quest produces) won the 2nd place Old Schoolhouse Reader Award in the geography category. Copyright 2012 Knowledge Quest, Inc.